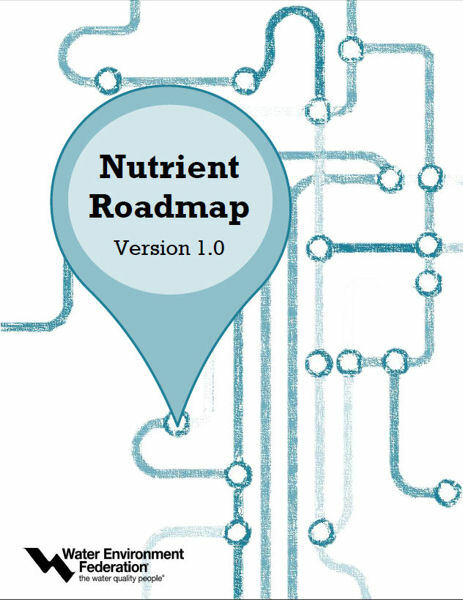 The Water Environment Federation (WEF; Alexandria, Va.) has released the Nutrient Roadmap Primer Version 1.0. The document provides an introduction to the 25-Year Zero Net Impact Challenge and previews a Nutrient Roadmap book, which is scheduled to be released in 2015. In October 2013, WEF, the Environmental Defense Fund, and The Johnson Foundation at Wingspread (Racine, Wis.) convened a meeting where 28 water-sector professionals met to discuss developing a nutrient management roadmap. Attendees drafted the 25-Year Zero Net Impact Challenge. WEF began working on the Nutrient Roadmap to help water resource recovery facilities (WRRFs) become utilities of the future that focus on recovering resources from wastewater. The primer summarizes technologies available to remove nutrients; interrelationships to consider when planning nutrient management, such as using carbon for nutrient removal or energy generation; products that can be recovered from wastewater; and matrices for planning, implementing, and evaluating different steps of a net-zero nutrient discharge strategy. Learn more about sustainable nutrient management with a focus on the practical design and process operations of dealing with nutrient issues around the world at WEF’s Nutrient Symposium 2015. The event will be held at the Doubletree by Hilton in San Jose, Calif., July 26–28.